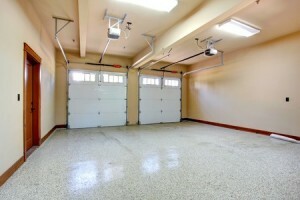 If you have been blessed with a spacious garage, it’s only natural for you to stock it up with various tools and equipment. 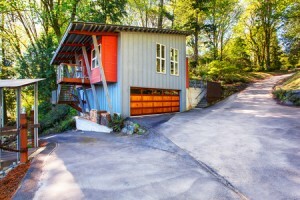 However, it’s quite possible that your garage isn’t built to accommodate large-scale DIY projects, and to make it such, you’ll need to invest a bit of effort, cash, and time. If you’re looking to transform your garage into the ultimate workshop, take a look at the following 5 tips from experienced garage DIYers. 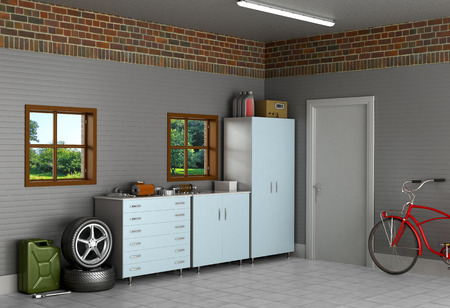 The first thing you’ll have to do when transforming your garage into a workshop is get rid of clutter you might have stored there. We all tend to keep old appliances, furniture, and scraps with no real repair potential on our property. Once you start cleaning up, you’ll be surprised to see how much space sheer clutter occupies. If you don’t want to throw away all of the things you find in your garage, you can stage a garage sale. That way, you’ll manage to make money out of the stuff you no longer have any use for. 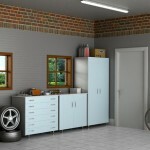 Once your garage is clean, you can start designing your own ultimate DIY workshop. When it comes to flooring options, concrete is a material you can never go wrong with. Yes, it will get stained, dented, and dusty, but there will be no reason to sweat over it. Epoxy flooring will also provide you with a good floor grip and it won’t require extensive maintenance. Master DIYers who tend to spend a lot of time in their garage-based workshops will find a softer floor setting comfier than plain concrete, though, which is why it would be a good idea to dress the hard workshop base with a rubber mat or vinyl tiles. You can’t have a DIY workshop without a proper workshop bench. If you don’t already have it in your garage, you should definitely get it before long. You can order a workshop bench online or try to build one yourself. This will be a great project for beginner DIYers. When building a workbench, it’s important to make its construction as sturdy as possible and design it in such a way that it can endure the hits and vibrations it’s going to be subjected to. It’s also a good idea to outfit the workbench with supporting columns and a waterproof base. Your tools are the most valuable items in your DIY workshop, which is why it’s important to have them stored properly. You should pack your tools in toolboxes and chests whenever possible to keep them safe from moisture and dirt. There are also great shelving solutions which might fit your DIY workshop perfectly. That way, you’ll make your workshop look great and keep it properly organized at the same time. Smooth mobile cabinets are another storage option you can never go wrong with. A pegboard is another great wall organization option as it will provide easy access to the tools you’re going to be using the most. 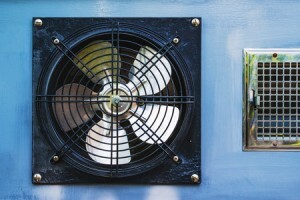 Pretty much all of the projects you’re going to be conducting in your DIY workshop will require adequate ventilation, and most of the garages lack this critical feature. Some garages do have windows, but these can’t always do the ventilation trick on their own. A ceiling exhaust system is one of the updates you can resort to when looking to introduce more fresh air into your garage workshop, especially if you intend to work with chemicals and paints that can pollute the air in your workshop. Once you’ve completed all of these steps, you can finally start working in your new DIY workshop. Make sure you stock up your garage with new tools if your budget allows it: this will help dial up your DIY workshop experience to the ultimate level.